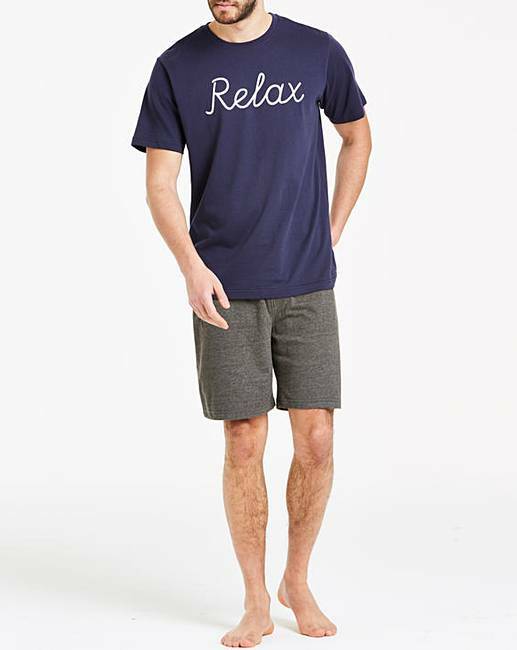 Navy/Grey Relax Slogan Short PJ Set is rated 5.0 out of 5 by 3. 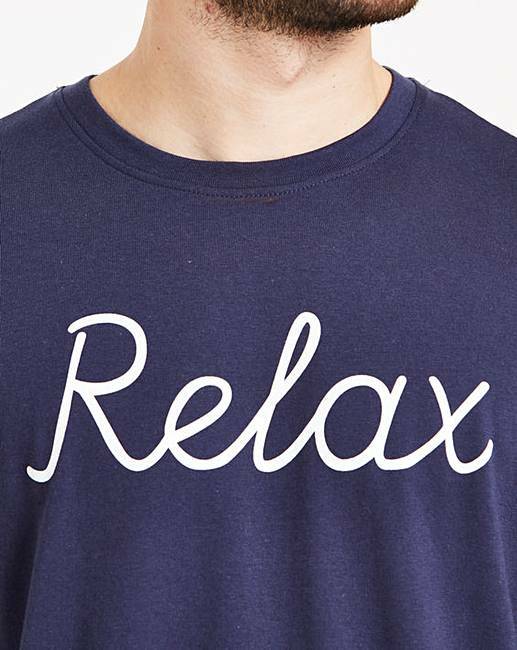 Pyjama set featuring a crew-neck T-shirt with slogan to the chest and a pair of shorts with an elasticated waistband with drawcord. Rated 5 out of 5 by Fred18 from Lovely I purchased these a few weeks ago and they are good value for the money. Nice quality and fit. Only downside delivery time. Rated 5 out of 5 by Johnboy from Short pj's Great value for money and excellent delivery service. Rated 5 out of 5 by Phil05 from Good fit Good comfortable fit, bought these for myself very pleased with the quality.